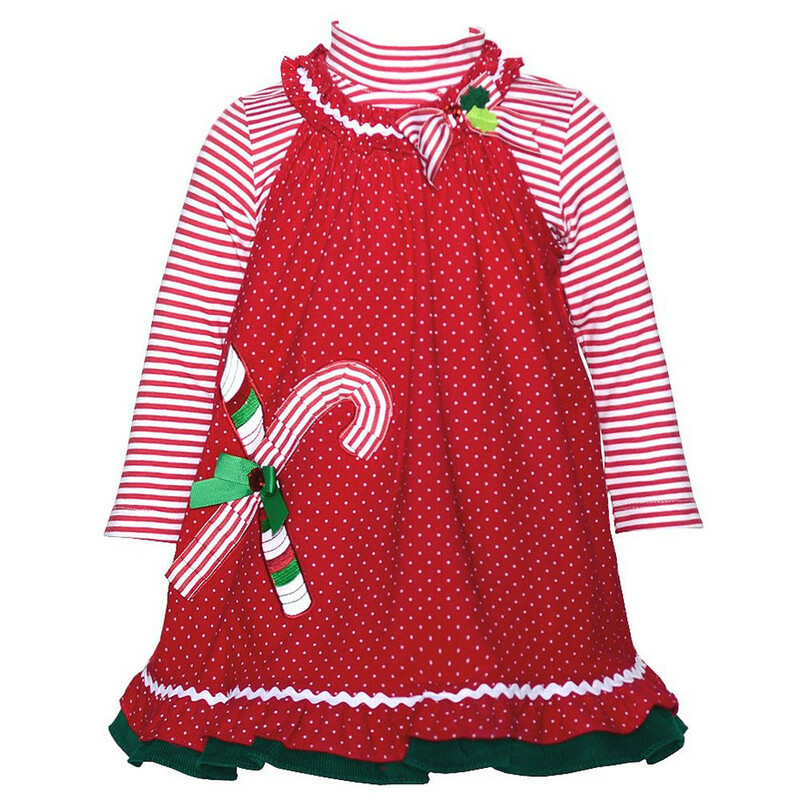 Red pin-dotted corduroy jumper dress with bow and holly applique at ruched U-neckline, candy canes applique on the skirt and mixed ruffle hem, paired with red-white striped knit mockneck top 2pc set by Rare Editions. Button-back closure. Adorable Christmas and holiday dress for your little girl!